Chhattisgarh, acclaimed as the only state in India with the richest bio diversity in the country having 44% as a dense forest area.The choices are aplenty for the people visiting Chhattisgarh including the number of waterfalls, wild life sanctuaries, National parks, caves, archeological monuments and the list is endless.The scenic beauty of the landscapes dotted across the state mesmerizes the visitors. For every tourist visiting the various destinations, an exemplary experience is guaranteed. The chitrakote waterfalls, Kanger Valley National Park, State Archeological Museum, Zonal Anthropological park are some of the interesting spots besides the numerous temples, shopping malls and sanctuaries. Out of all the places,Bhatapara in the Baloda Bazaar district of Chhattisgarh attracts huge number of tourists round the year. The prominent Baloda Bazaar is one of the ancient settlements in the history of India and is quite famous for the cattle market. Also, the district encompasses prominent tourist attractions mainly for the spiritual lovers. Soaked in culture and heritage, this district boasts an unique style of music, dance and drama of the genres namely Dewar nacha, Pandwani and Padki native to this district. Madku Dweep Island tops the list of prominent tourist destinations in Chhattisgarh. 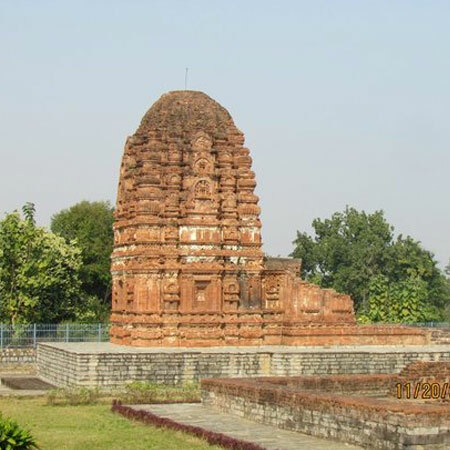 Around nineteen temples dedicated to the Hindu Gods can be visited around this cluster of islands. Epigrams, coins and statues have been excavated by the archaeological departments around this region. The opulent and lush surroundings of this island make it a more popular tourist destination. Giroudpuri Dam is yet another interesting spot revered as the birth place of Guru Ghasidas, the advocate of the Satnami Pant, one of the sects in Hinduism. Huge number of devotees arrive here to worship the idol of the Guru placed here. The Dam constructed at the confluence of the Jank and Mahanadi Rivers make this place an interesting tourist destination. A perfect weekend getaway is the Surang Tila temple. A wonderful tri pyramidal structure with an unmatched craftsmanship exhibited in the architecture of this temple complex fully built with white marble stones takes you to an entirely new environment. The pyramid structures house temples to the Hindu God Shiva built above the 30 feet tall platforms. Surang Tila Temple complex is a must visit heritage spot for the nature enthusiasts and photo freaks. The architecture in line with the churches in Britain and the intricate designs and paintings you find in the Bethel Church built over a century ago stills stands out to make you peaceful and joyous. The serene and tranquil premise of the Lakshmana Mandhir is an important tourist destination flocked by worshippers throughout the year in Chhattisgarh. Devoted to Lord Vishnu, this temple houses numerous intricately designed pillars and sculptures. Bhatapara and Baloda Bazaar besides the other attractions make Chhattisgarh a perfect tourist destination. Trichy, Tamil Nadu 620006, India. Copyrights © 2018 Indian Panorama, All rights reserved.